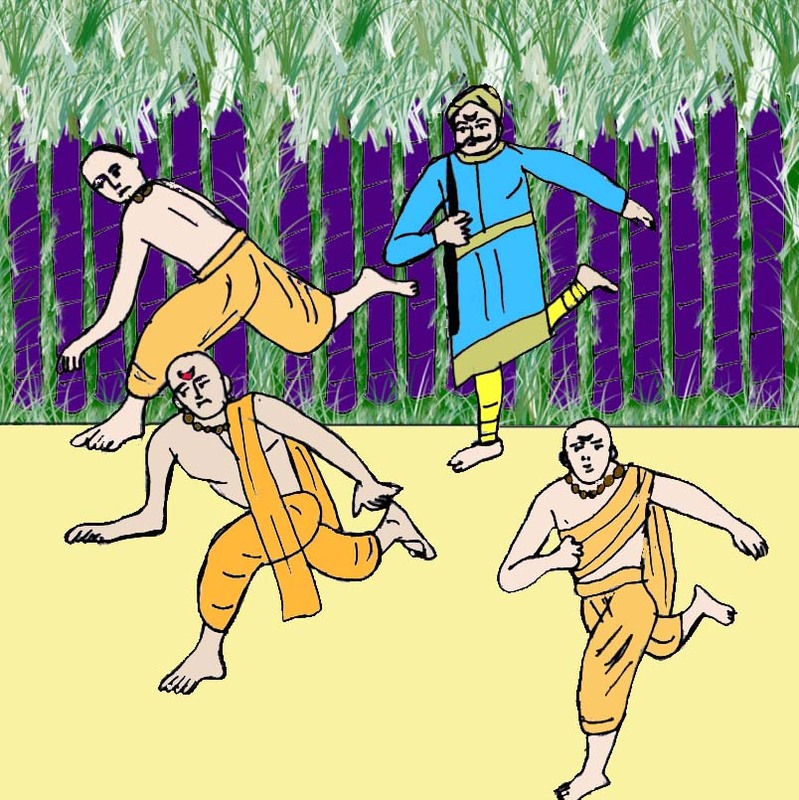 Once when Samartha Ramadas (a great saint from Maharastra who was the preceptor of King Sivaji) was moving about the countryside with his disciples, those behind him seeing a fine field of juicy sugar cane, entered it and started pulling out the cane, crunching it with great relish. The owner of the field, naturally enraged at their behaviour and at the loss to which they were subjecting him, fell upon them with a stout cane. The Master was sorry that his disciples had broken discipline so objectionably, drawn by the desire of the tongue for the sweet juice. 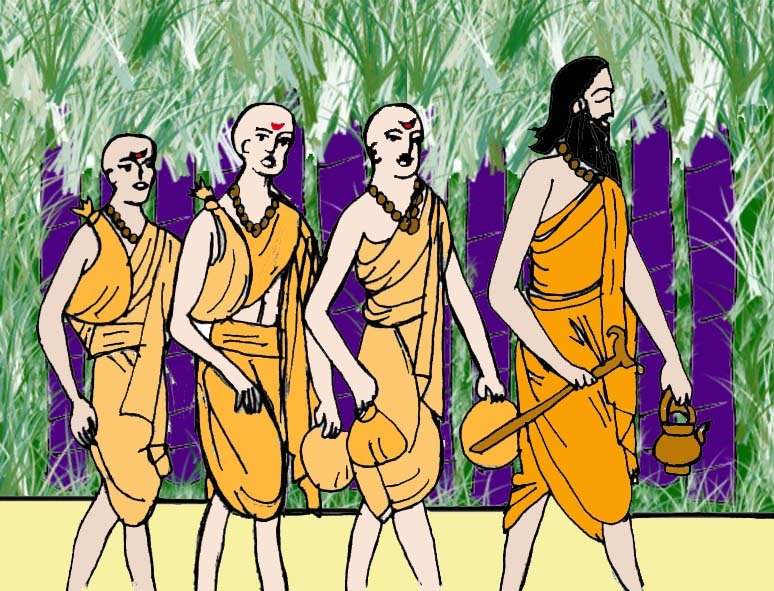 The next day they reached Emperor Sivaji’s place, where a great welcome awaited the Guru and his followers. 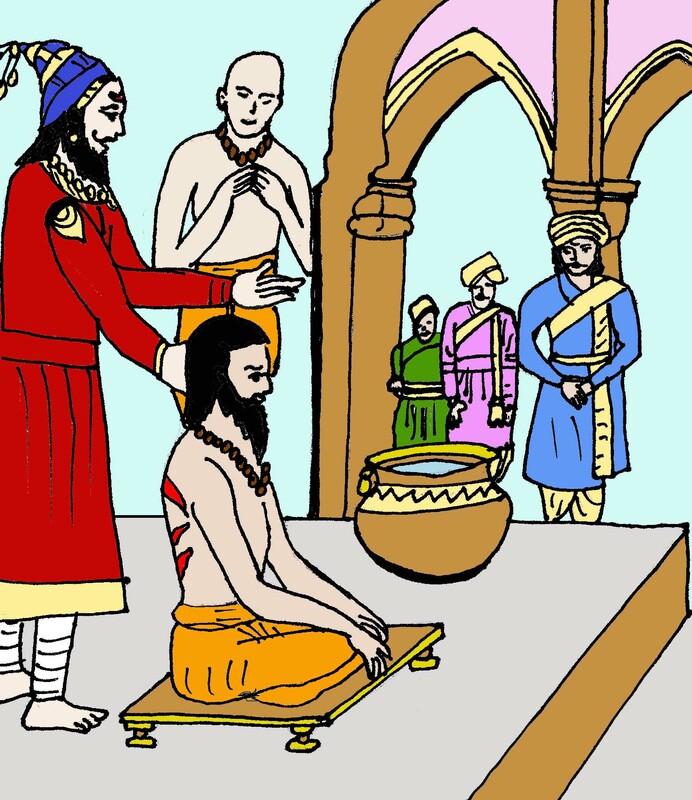 Sivaji offered to attend personally to the Guru during his ceremonial bath. 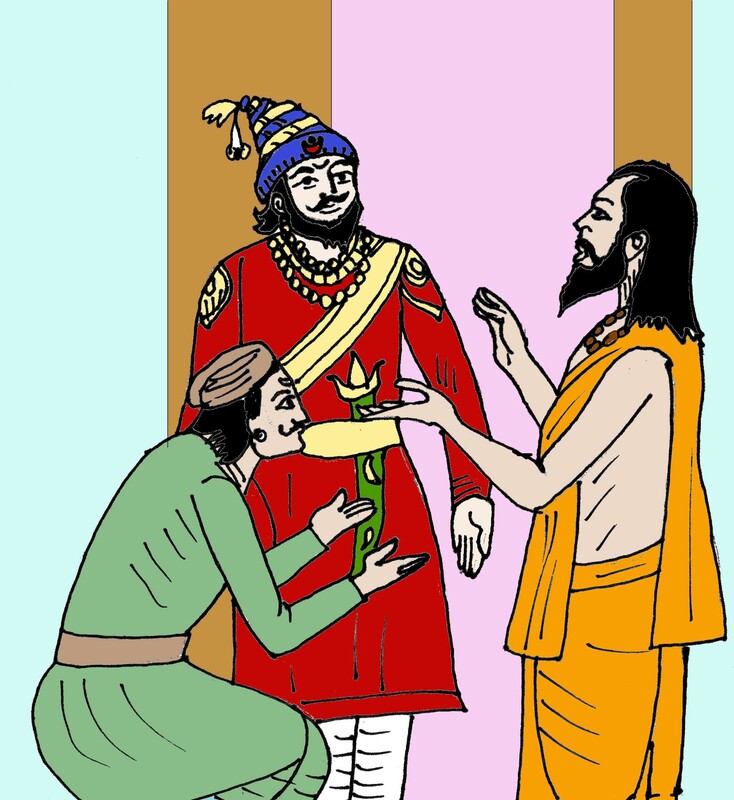 When Ramadas undressed, Sivaji was shocked to find broad red marks, indicating that he had been beaten! Such was the sensitive sympathy of the great saint that he received on his back the blows meant for his pupils. Sivaji sent for the owner of the field of cane. When he stood shivering in fear before the Emperor and his Guru, Ramadas was requested by Sivaji to inflict on him any punishment he liked. But Ramadas accepted the fact that wrong was committed by his disciples and blessed the farmer, granting him a boon that his lands would be tax free forever.